For few individuals multiple choice questions have always been a random choice or picking the right answer with the help of a rhyme. 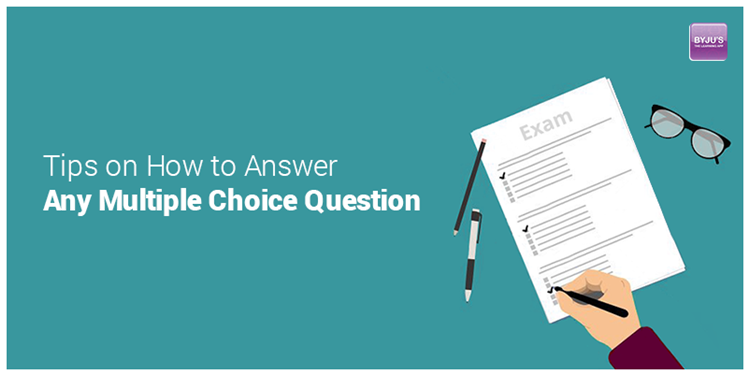 As multiple choice questions methodology are often used for competitive exams like Bank Exam. Ignoring Conventional wisdom:Often individuals who take up objective type tests have the usual habit of guessing the middle option as the answer if it is not known to them. Or they judge the right answer based on the answer to the question above and below. Conventional wisdom has never helped much throughout the exam and hence ignoring it is vital. Terminating Incorrect Ones:Terminating the incorrect answers is a good method to be followed while answering the multiple choice questions. For those questions where the answer is not known, the options can be checked individually and terminated if the answer doesn't seem to be right. It will also help in cases where the candidate might first pick out the wrong answer. Testing the options:The options can be tested with a true or false test after reading the question carefully. The answers which result as false can be ignored and the most appropriate answer can be found. Handling all of the above:In a multiple choice question if there is an option as “all of the above”, make sure there is a minimum of two or more right answers before the ‘all of the above’ choice is opted. Longest options:While taking up multiple choice questions there are questions that have options of variable sizes. If the answer to the question is not known and this condition applies, the longest option can be opted as it is a fact that the question designer couldn't format a short answer. Focus on the keywords:By Focusing on the keywords in the question the candidate will get a better idea of the options and will help in narrowing down the meaning. By this method the right answer can be matched with the keywords of the question. Opposites:In a multiple choice paper if two questions are completely opposite there are chances that one of them might be the right answer. It is usually a trick by the professors to check the knowledge of the student in the subject. Practicing:‘Practice brings Perfection’. As it is said for any exam, the best way to score maximum marks is through sufficient amount of practice. Practising previous question papers, mock test and various guidelines can be a way to revise for these types of exams. Learning from mistakes:Going through the answer sheet once it is returned back to you is always a good way to check the mistakes and learn from it. The wrong answers can be reviewed and analyzed how the mistake had occurred and by figuring out what had made you to pick the incorrect answer. Analyzing these points will prevent you from making these mistakes again. With the help of these tips the candidates will have a better approach towards the exam and the method of attempting any multiple choice question for answer to questions that are not known. These tips will help in scoring good marks in these competitive exams as there are many number of individuals who are attempting these exams like IBPS PO, sbipo as the perks of bank jobs are high. For more guidance in bank exam subscribe to our Byju’s YouTube channel.